MZ-Tools uses toolwindows for many features such as Method Callers, Review Quality, etc. and the Find Text feature and all of them were affected. At first I didn’t pay much attention because some users were not able to reproduce the problem, or solved it reinstalling or updating Office. Also, MZ-Tools has tons of users and if the problem was general I would have received tons of bug reports, not two or three. The problem happened always with Office 2016, not with older versions. 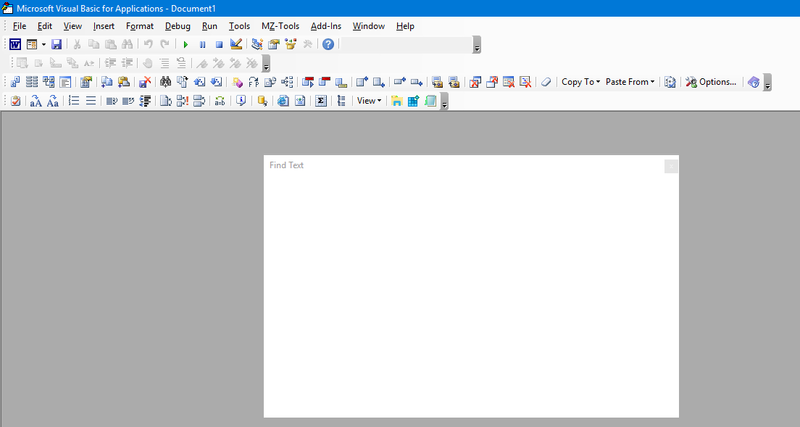 The problem happened with Word 2016 and PowerPoint 2016 but never with Access 2016 or Excel 2016 (except one case using the Insiders version of Excel, not the regular one). That explained why I didn’t receive tons of bug reports: Excel and Access are the most used Office applications with MZ-Tools and were not affected. Users found a workaround: to dock the toolwindow to some other window (so it was no longer floating), which showed the content inside, and to make it floating again. The problem would happen again in the next session, though. At first I was not able to reproduce the problem because I was using Excel or Access but as soon as I tested with Word I was. I knew that the problem hadn’t happened until April, otherwise somebody using Word or PowerPoint would have reported it in the last couple of years. Also I tested with old versions of MZ-Tools 8.0 for VBA (even the first betas of 2015) and the problem was reproduced, so it was not some bug introduced by a recent build of MZ-Tools 8.0. 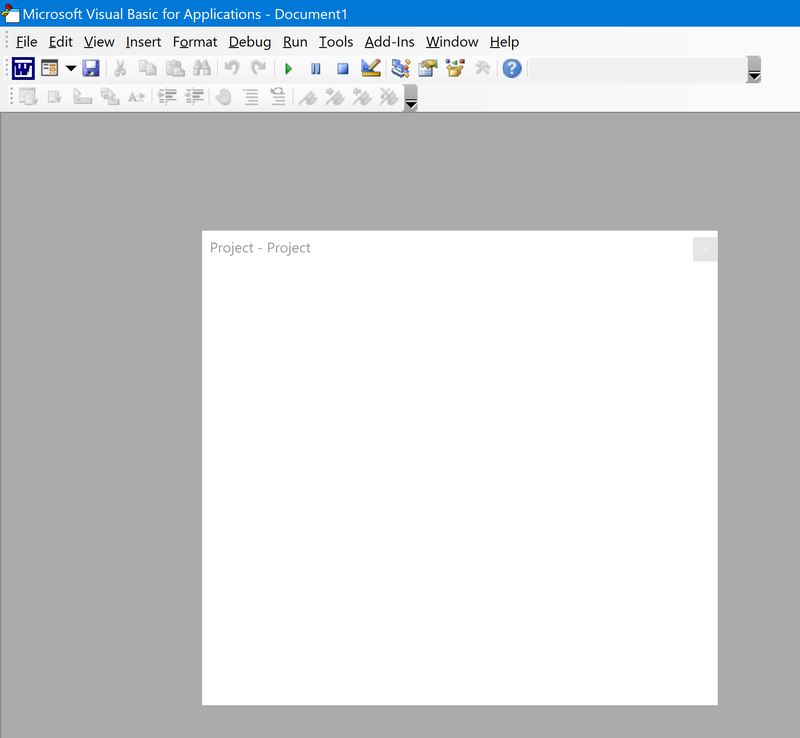 The Project Explorer toolwindow should appear floating but blank. Note: you many need to try the whole procedure a couple of times if you have just upgraded or downgraded the version of Office. seems to work fine (although when testing you need to try a couple of times after downgrading or upgrading, maybe because click-to-run upgrades in the background). The date (March 27) of the version 1803 which introduced the problem is consistent with the first bug reports appearing in early April. I will report this problem to Microsoft. Until a fix arrives, if you are affected by this problem the best approach is to disable Office 2016 upgrades and to revert back to version 1802 (Build 9029.2253). This entry was posted in Uncategorized by Carlos Quintero. Bookmark the permalink.